"This is Yani previously i ask you to draw cariculture for my european boss , I need you to do cariculture drawing for my collegue , can you remove the wringkle, and adjust the teeth too. 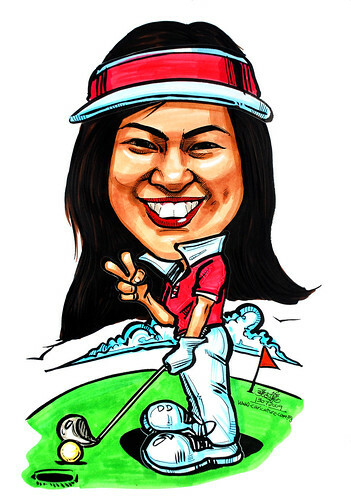 at least make her look younger .without back ground will be fine...."
A female golfer, which I seldom draw. When the subject has comical features, the outcome usually won't go very bad. In this case, everything comes out quite well. At least, I like it. "Hahaha! Thank you very much!"